If you had a childhood,* in an English-speaking country, at least, you know Rankin/Bass Productions. Founded by Arthur Rankin Jr. and Jules Bass in 1960 as Videocraft International, the company is responsible for a series of (usually) Stop Motion puppet animated (called "Animagic") holiday specials that are virtual fixtures of seasonal television programming. Works such as Rudolph the Red-Nosed Reindeer, Santa Claus Is Comin' to Town, Frosty the Snowman and Here Comes Peter Cottontail have been airing more or less annually since the early 1960s, when they were first produced. Many subsequent holiday specials produced by other companies will contain salutes to these shows. The general formula of these holiday specials was to take one or more classic holiday songs and to build a script (usually by staff writer Romeo Muller) around the music, featuring a celebrity narrator as an Ink-Suit Actor in the story and interspersing it with original songs with music by Maury Laws and lyrics by co-producer/co-director Jules Bass. Very likely a majority of the characters will be voiced by Paul Frees. Rankin/Bass also produced non-holiday Animated Shows. Best known is probably ThunderCats (1985); its other series included Tales from the Wizard of Oz, The King Kong Show, The Jackson 5ive and The Osmonds. The popularity of ThunderCats resulted in two follow-up series, SilverHawks and TigerSharks (the third appearing along with three other shows as The Comic Strip). By the time of ThunderCats, the studios were now owned by Lorimar-Telepictures; Telepictures had acquired the studio in 1983 after distributing their post-1974note the pre-1974 library was owned by GE, who had owned Tomorrow Entertainment, R-B's parent firm, for a while then; they eventually sold the library to Lorne Michaels and his company, Broadway Video; he eventually sold it to Golden Books, who integrated it into their library, which eventually became part of Classic Media, which was sold to DreamWorks Animation in 2012. DreamWorks Animation would later be acquired by NBCUniversal in 2016, which GE had ironically owned a majority of at one point before selling to Comcast library from Telepicture's founding in 1978. Warner Bros. now owns the rights to those programs, having acquired L-T in 1989. Its most ambitious projects were animated adaptations of J. R. R. Tolkien's books, with The Hobbit and The Return of the King. (Not to be confused with Ralph Bakshi's ill-fated attempt, which bridged the series.). Along with The Last Unicorn and The Flight of Dragons, these films were the first major U.S.-Japanese animation production crossovers. The co-producing Japanese company was known as Topcraft and soon after, they went on to form the company Studio Ghibli. 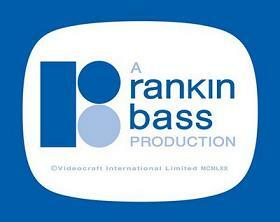 Now dormant, the company only exists nowadays to manage the Rankin/Bass trademarks. In 2001, it released its latest holiday project, Santa, Baby!, which featured a mostly black cast. The duo also had a part in the ThunderCats Continuity Reboot. Nonetheless, Rankin/Bass will forever be remembered for virtually defining the concept of specialized holiday programming. Arthur Rankin Jr. passed away on January 30, 2014. Santa Claus Is Comin' to Town (1970) Fred Astaire as S.D. ("Special Delivery") Kluger, also established Mickey Rooney as the official voice of the Rankin/Bass Santa. International Coproduction: All of their shows, movies and specials were co-produced with many Japanese companies. Particularly Topcraft throughout the 1970s and early 1980s. The Jackson 5ive and The Osmonds also had most of its animation done at British studio Halas and Batchelor, better known for the Animated Adaptation of Animal Farm. The Wiki Rule: The Rankin/Bass Wiki .